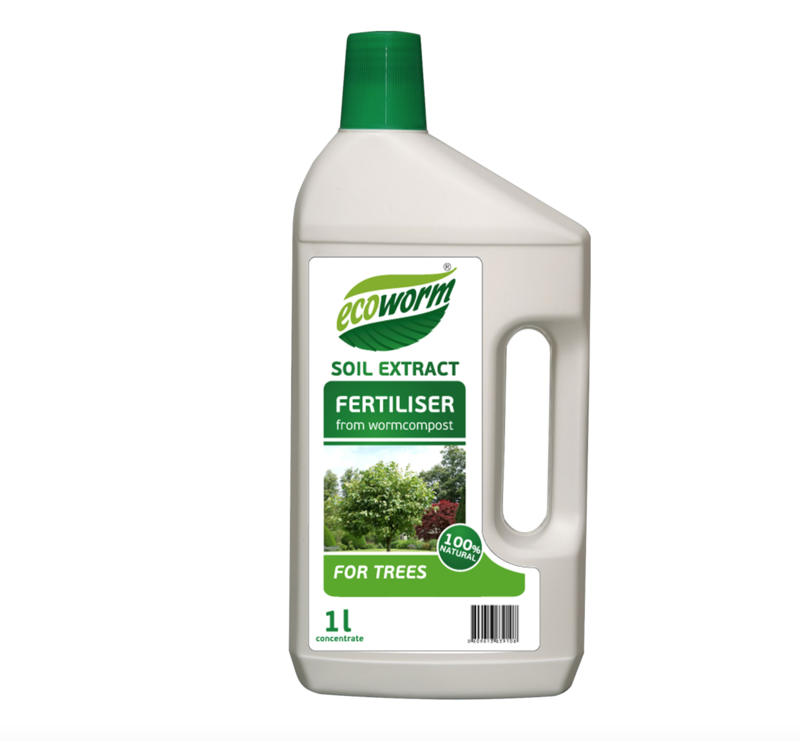 Soil Extract for Trees is specially formulated to stimulate high quality leaf, blossom and fruit growth for all ornamental and perennial fruit trees including apple, pear, plum and cherry trees. Soil Extract is a 100% natural humic fertiliser made from vermicompost. The concentrated extract contains a full complex of humic, fulvic and amino acids with macro and micro elements, soil antibiotics, phyto-vitamins and micro-organisms for easy plant absorption. 1 cap (25ml) in 5 litres of water per tree. 1cap (25ml) in 5 litres of water per tree.Dilute soil extract with lukewarm water (15-25 degrees C). Suitable for root and foliar fertilisation. Humic acids 0.6 – 0.75%. N-P-K : 0.85% – 0.75% – 0.95% . Trace: Fe, Zn, Mg, Mn, Mo, Co, Na, Se, Va, B, S, I, Cu. Ph : 8.5 – 9.5.